Overwatch, Diablo, and Warcraft, oh my! As the lights go down on another year of BlizzCon it's time to take a breath and look at everything that unfolded across the weekend. 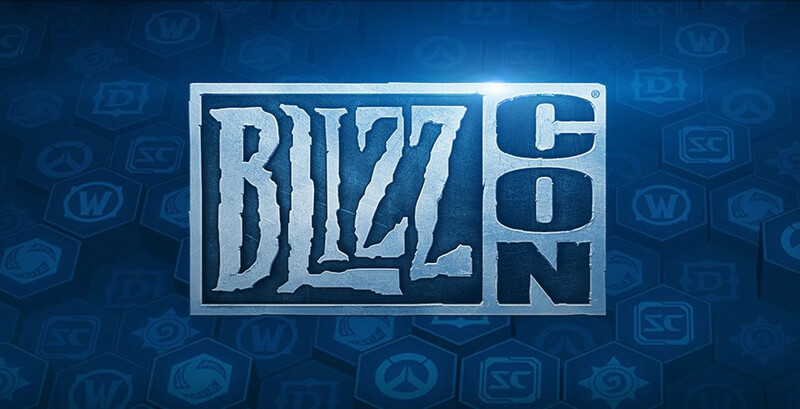 It's been another big year of reveals, panels, and competitions, and while some announcements were met with more enthusiasm than others [more on that later] all-in-all the convention was another epic celebration of everything Blizzard has on offer. Overwatch is getting a new hero, with Ashe joining the roster as a damage-dealing outlaw. Her introduction through a stunning [as always] cinematic ties her history in with McCree, and made for an epic western showdown. Sporting a sweet semi-auto rifle and dynamite, Ashe looks like she'll be quick and mobile while still dealing long-range damage when needed. And if her summonable sidekick B.O.B. isn't the coolest looking robot/gentleman-brawler ever, I don't know what is. Another celebrated announcement was that Warcraft III is getting a remaster. From the initial gameplay footage, it looks incredible – and the updated features for custom maps and matchmaking are welcome additions, and the fact that support for the original title will continue makes this feel like much more than just a cash-grab. Most of all though, as a huge fan of Warcraft lore, the ability to go back and play through some of the most pivotal moments in the franchise's history has me mashing that pre-purchase button as hard as humanly possible. In other Warcraft news, Blizzard confirmed that WoW Classic will be releasing mid-next year. Best of all, the game will be available to anyone with an active WoW subscription, adding even further value to the service. Following on from this, Blizzard detailed the upcoming content releases within Battle for Azeroth. After leaving Blizzard two years ago, Chris Metzen popped up in the audience during the Q&A section to offer some insight into the future of the Horde and a possible return of its ex-Warchief, Thrall. Metzen, who voiced the character in the past asked "when is the Horde getting its true Warchief back?" to which the answer was "there might just be a job posting very soon." That answer, while likely a fun little joke, could tie in nicely to the latest Lost Honor cinematic which depicts a possible agreement between elements of the Alliance and Horde to install a new leader in place of Sylvanas. Oh... the possibilities! In addition to this, the WoW dev team detailed the upcoming Tides of Vengeance patch that will introduce a new Warfront and additional content, as well as the upcoming untitled patch 8.2 which will send players to Nazjatar – the home of infamous Queen Azshara. For those thirsting to fight off the minions of hell, Diablo's team confirmed there are multiple projects in the works for the beloved franchise. The first of which was announced to be Diablo: Immortal, an action title releasing to mobile. Unfortunately the announcement was met with boos from the audience, while the internet whipped itself into a frenzy of memes like it was the end of gaming entirely. Alan's take on the whole community backlash sums things up nicely, and I'll simply add that if you think it's OK to call a developer's hard work "an out-of-season April Fools Joke" before even playing it... perhaps you need to check your privilege and be a better person. Personally, I'm not a big mobile gamer – but that's mostly due to time and a battery that's temperamental on a good day. But who knows, maybe it'll see a port for the Switch and we can all be happy. Either way, there's still a sequel to Diablo III in the works, so the vocal minority can put down their torches and pitchforks and go about their day. In happier news, Blizzard is celebrating the one-year anniversary of Destiny 2 on PC by making the base game available for free through the Battle.net launcher until November 18. It feels only right, given PlayStation Plus handed out copies to its members a few months ago. There was plenty more news, but those are definitely the highs and lows of BlizzCon 2018. Not every fan got the announcements they were hoping for, but we know there's still plenty that Blizzard has up its sleeve.